THE GOVERNMENT HAS been called on to establish the investigation into allegations of garda misconduct as its delay was ‘maligning’ rank-and-file members of the force, the Garda Representation Association has said. Minister for Justice Frances Fitzgerald said a Commission of Inquiry would be established following the publication of the Guerin report. 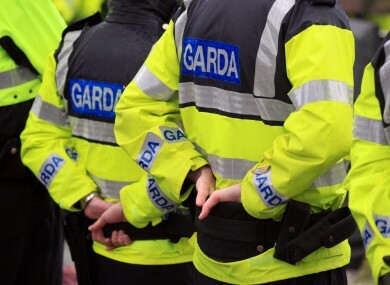 Writing in the Garda Review, GRA General Secretary PJ Stone said that rank-and-file members of the force have been affected by the delay in establishing this investigation. “The damage done to junior members of the Force is incalculable,” he said. Some members have had their confidence checked; others are now seemingly irreparably disillusioned. He added that the gardaí at the centre of the allegations “have yet to be allowed to present their side of the story”. Stone said that the fact that former Minister for Justice Alan Shatter resigned and Garda Commissioner Martin Callinan ‘retired’ demonstrates the need for an inquiry. Stone said he believes the “inordinate” delay in establishing the Commission of Inquiry “may be because those in the political elite have been caught in the headlights”. The Guerin Report is all about the allegations one man has made, and everyone has taken it as doctrine. The Guerin report noted that some people crucial to the allegations made were not interviewed as part of the investigation. Shatter called on the the Human Rights and Equality Commission to examine how the report was compiled, and said he was ‘secretly put on trial‘ by the report, without begin given a chance to defend himself. Minister for Justice Frances Fitzgerald said yesterday the Government was now “listening” to whisteblowers, as McCabe came forward with new allegations about the cancellation of penalty points. Email “Gardaí have been 'incalculably' damaged by delay in investigation of 'garda misconduct'”. Feedback on “Gardaí have been 'incalculably' damaged by delay in investigation of 'garda misconduct'”.